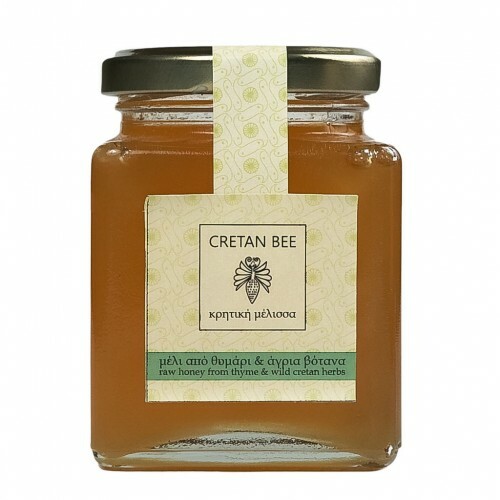 The honey of Cretanbee’s family is raw, produced primarily in the mountain areas of Crete with its rich variety of soil and vegetation. The rare varieties of bush, wildflowers, herbs and trees found here make the honey really special. The benefits of unprocessed honey. How does this affect its nutritional value? Honey is considered to be the most ancient elixir of youth and longevity. 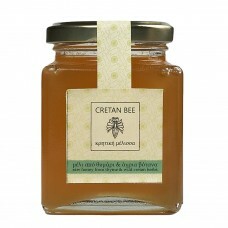 Unprocessed honey is that which is collected by the beekeeper straight from the hive without the use of filters or heat. • Promotes growth of “good” intestinal bacteria, improves digestion and combats digestive ailments. • Relieves and heals skin lesions. • Protects the teeth by hindering the growth of oral bacteria. • Relieves coughing and boosts the immune system. • Promotes relaxation and quality sleep. • Reduces potential pollen allergies, desensitizing the immune system. • Reduces homocysteine levels in the blood, preventing cardiovascular ailments. • Helps mental function and improves memory. Crystallization is a natural phenomenon unrelated to the quality of the honey, causing no changes in its nutritional value. On the contrary, it proves that the honey has not been processed in any way. Such honey can easily be liquefied in a double boiler at a water temperature of less than 45⁰C without losing its therapeutic qualities. Blossom honey crystallizes naturally within a few months of its harvest, whereas pine and spruce honey do not crystallize.